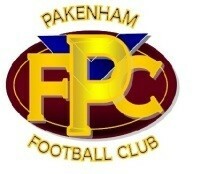 Pakenham Football Club are now advertising for Players and Officials for the 2018 Inaugural Women’s Team. If you are a current player or would like to give it a go, or you would simply like to support and help in an Official capacity, then by all means get on board this history making team. Players must be 16 years of age by 1st January to register. Training will possibly begin November 2017. Please direct all enquiries to Nicky Muley.